Back in my school days, one of the most common digs to someone would be ‘your family shops at Aldi’. Most people would find it hilarious and no one would even think of setting foot in there. Today however, things have changed. And for the sake of your mom’s purse – I genuinely hope she does. I managed to cook a meal for four people for the ultimate price of £6 earlier, and dare I say, it was bloody delicious. 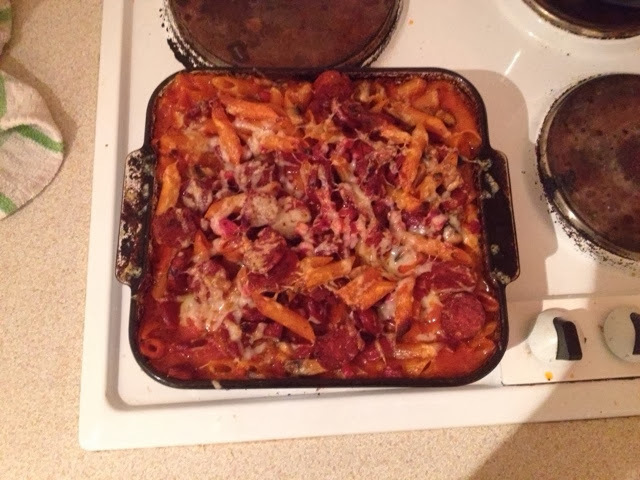 I’m a huge fan of pasta bake type dishes; they’re quick and easy and I’ve been craving chorizo ever since I woke up. I drove to Aldi as I know they have a genuinely cheap but tasty meat section. I got 2 packs of chorizo for £3. In the likes of Morrisons & Asda, you would undoubtedly pay at least a couple more pounds for the meal I cooked today. The recipe was pretty simple. I chopped up some mushrooms and chorizo and fried them in a pan with 1 tbsp of oil. I then threw in some pancetta ham. I left them to simmer. Next I poured four handfuls of pasta into a baking dish and cooked the pasta sauce in water for 15 minutes. I then mixed all the meats into the pasta, covered with cheese and baked for a further 5 minutes. 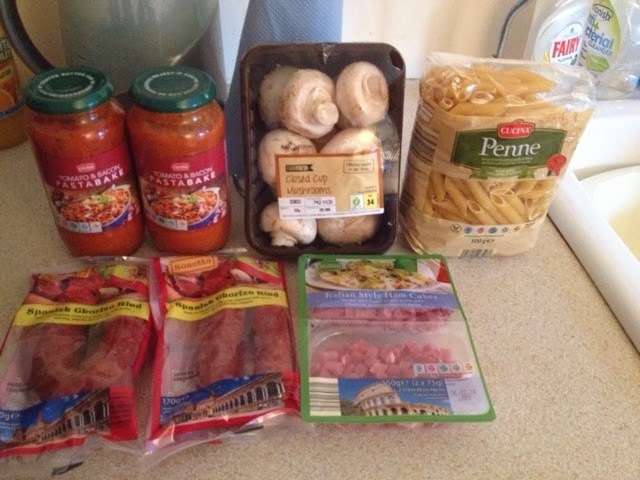 I recommend all the ingredients I bought for the meal and It was a bonus that they were cheaper ingredients compared to those from other stores. We sure enjoyed it in the Stokes house and I will definitely be making meals like this more often.